Jupiter appears in the western sky during the early evening hours of August 2017. 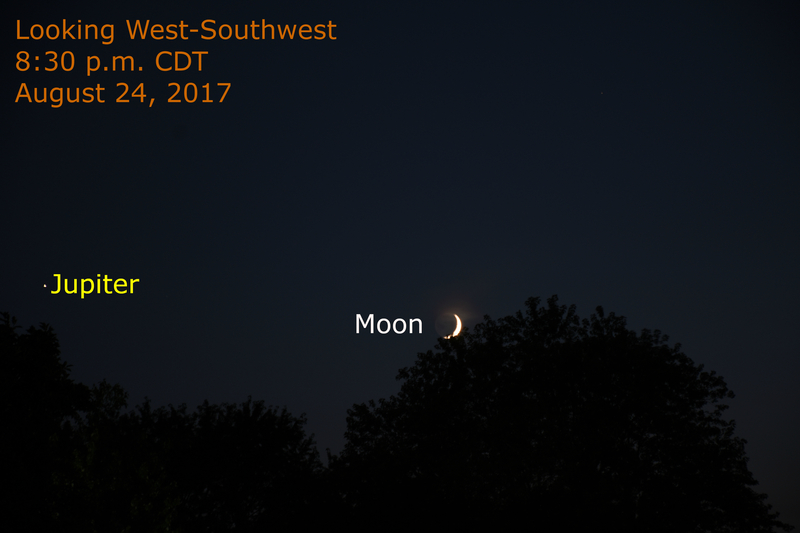 It is heading toward its solar conjunction on October 26, 2017. It reappears in the morning sky with an Epoch Conjunction with Venus on November 13, 2017. 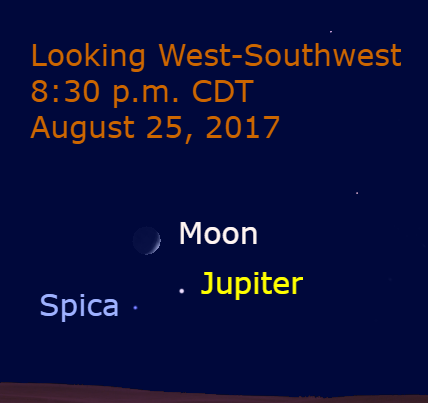 During this appearance, Jupiter is preparing to pass Spica for a third time on September 5. More about this in the links below. On the evening of August 25, the crescent moon passes Jupiter and Spica. The moon is 5.5 degrees to the upper left of Jupiter with Spica 4 degrees to the lower left of Jupiter.